St. Pascal Baylon Catholic School uses TADS (Tuition Aid Data Services or TADS) assess your family’s financial need. TADS Financial Aid online application must be filled out if you would like to have the opportunity to receive tuition assistance. This form applies to students attending Catholic Schools throughout the Archdiocese. There is a $34 processing fee to apply for financial aid. 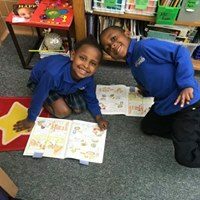 In addition to applying for tuition assistance, The AIM Higher Foundation and Archdiocese of St. Paul and Minneapolis through the Catholic Services Appeal are able to provide scholarships to families receiving a Catholic education. For more information about the scholarships, please review the following AIM Higher Foundation scholarship flyer. The opportunity to apply for Financial Aid is possible after completing the Admission and Enrollment online application. To start the process, click here! Click on the TADS link below to start the process. Call the TADS Parent Resource at 612-548-3320. Spanish available.